Over the past 151 years, Mayo Clinic has become internationally known for excellence and integrity. As a result, our name has significant public meaning. 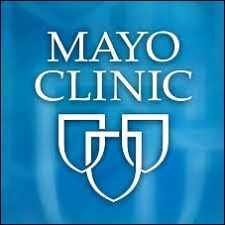 During pre-Internet days, staff were not permitted to include their Mayo Clinic affiliation when writing newspaper letters-to-the-editor. For example, the correct sign-off would not be “Lee Aase, Mayo Clinic” but “Lee Aase, Austin, MN” because borrowing Mayo’s credibility to make my point would be misappropriation. This guideline recognizes that social media tools make it easier than ever to broadcast opinions to a wide audience. Our employees have the same rights of expression as other members of society, but unless we receive formal authorization to speak for Mayo Clinic, we must make it clear that our views are our own. In this case and on this topic, I am speaking for Mayo. Opinions tweeted are mine, not Mayo’s. Over the past 151 years, Mayo Clinic has become internationally known for excellence and integrity.